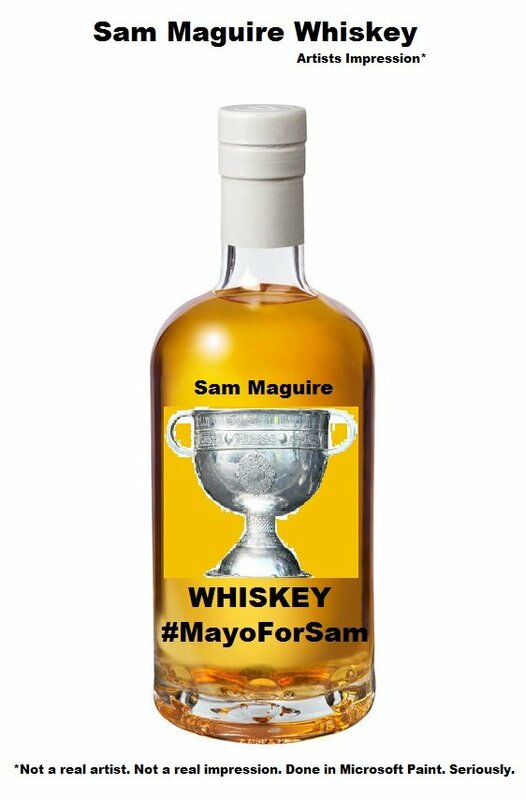 Well here’s one way the folk of Mayo might get their hands on Sam Maguire this year…..SHOTS! 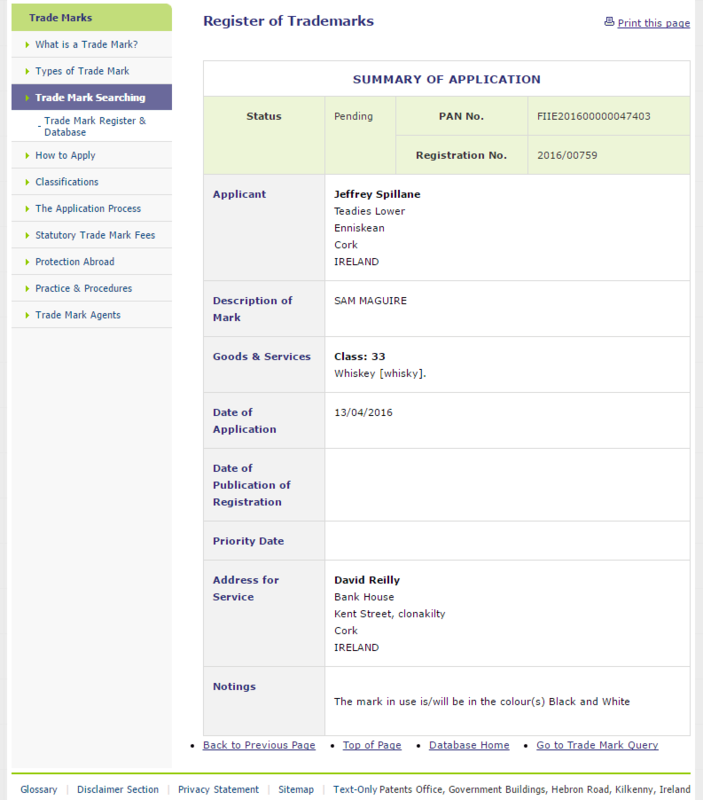 Some enterprising young man (Jeffrey Spillane, hello to you) has applied to register “Sam Maguire” as a Trade Mark for Whiskey! YAY! I can’t be be 100% sure, but I’ve mocked up an artists Impression of how I imagine the bottle would look. It just goes to prove the point, people will try and register anything as a Trade Mark. A-NY-THING! So if you’re a business or brand owner, and you haven’t got your brand protected, CLICK HERE to find out why you should, then give me a call. I’ll give you mates rates if you mention this post!